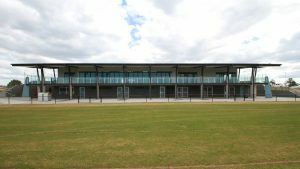 The Cardiff Australian Football Club is about to embark on an exciting new chapter as our club will relocate to a brand new 8 million dollar purpose-built facility in the booming suburb of Cameron Park. CAFC is well into planning for 2019 and is seeking a Senior Head Coach for the 2019 season. The Cardiff Senior Head Coach will work closely with the Head of Football in establishing consistent and best practice coaching policies, individual and team development plans in addition to games plans; that give the club the greatest opportunity for on-field success. The Head Coach’s primary role is to manage the on-field performance of the club’s Black Diamond Cup and Plate squads; but providing leadership within the club as a whole is equally important (i.e. mentoring other coaches, driving player recruitment, coordinating off-field club resources and fostering junior development). well-developed knowledge and expertise in building a high-performance team environment and the ability to lead and embed a winning culture including proven success in the coaching field. 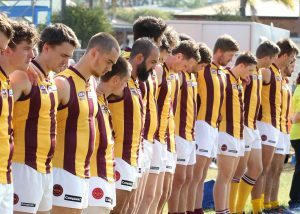 The Cardiff Hawks are a successful club in the Black Diamond AFL competition in the Newcastle and Hunter region of NSW. Since the competition commenced in 2000 the Hawks have played off in 8 Grand Finals and have won many junior premierships in that time. The Hawks are also the home club of Isaac Heeney who is now starring with the Sydney Swans in the AFL. 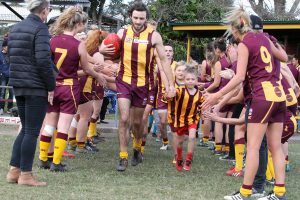 In 2019 the Hawks will experience “A New Beginning” moving onto an $8 million state of the art AFL/Cricket facility at Cameron Park that rivals any facility in the region. The facility comes with a huge top class playing surface, amenities, facilities, and lighting that are unmatched in the region. The Cardiff Hawks are not only successful on the field but they are a club that cares, having recently introduced their groundbreaking new player welfare initiative, CARDIFFerence. This program is designed to put the health and well-being of our players and members at the forefront. Apply now with your CV and covering letter addressing the above selection criteria to prisby@dxc.com or alternatively direct any questions to Club President, Quinton Davis – 0421 964596. Discussions and inquiries will be kept in strict confidence.